The Lake Placid Olympic Sports Complex, located at Mount Van Hoevenberg in Lake Placid NY, was the home for a large part of the 1980 Winter Olympics. Lake Placid was the only bid for the Olympic games, and from the top of the Olympic Sports Complex (OSC) you can see all the sites for the games. A large track that hosted luge, skeleton, and bobsledding, and nowadays you can take a bus tour to the top. The tour stops at the multiple starting points along the track, and gives a brief overview of the Olympic Games. 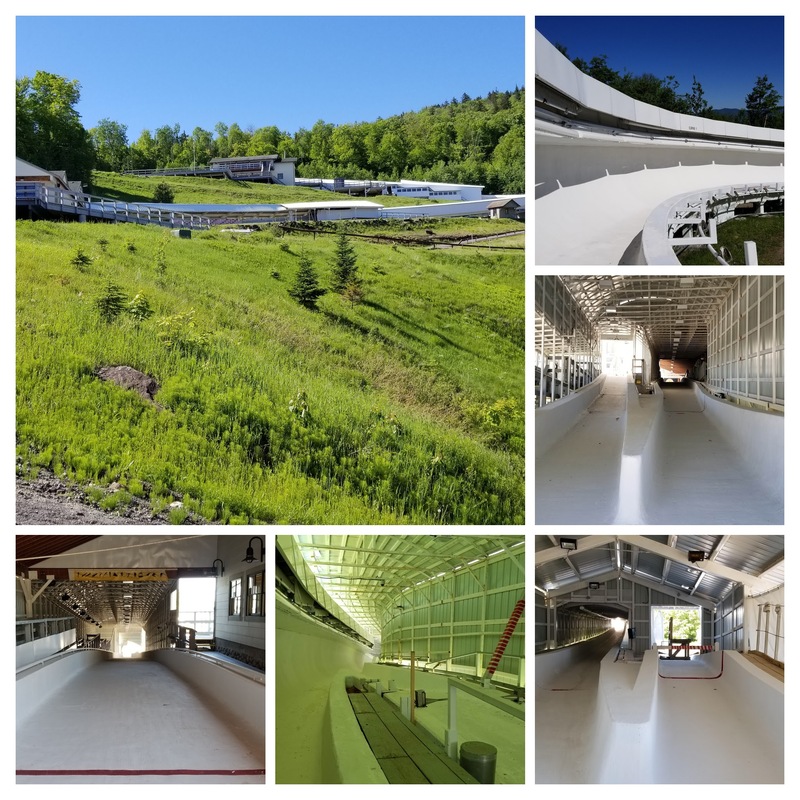 Once at the top they give you the option to take the bus back down to the beginning, or you can walk down inside of the bobsled run…and you should definitely take the opportunity. Walking down inside gives you great views of the mountain and a good look at the curves and starting points for one of the exciting winter events. 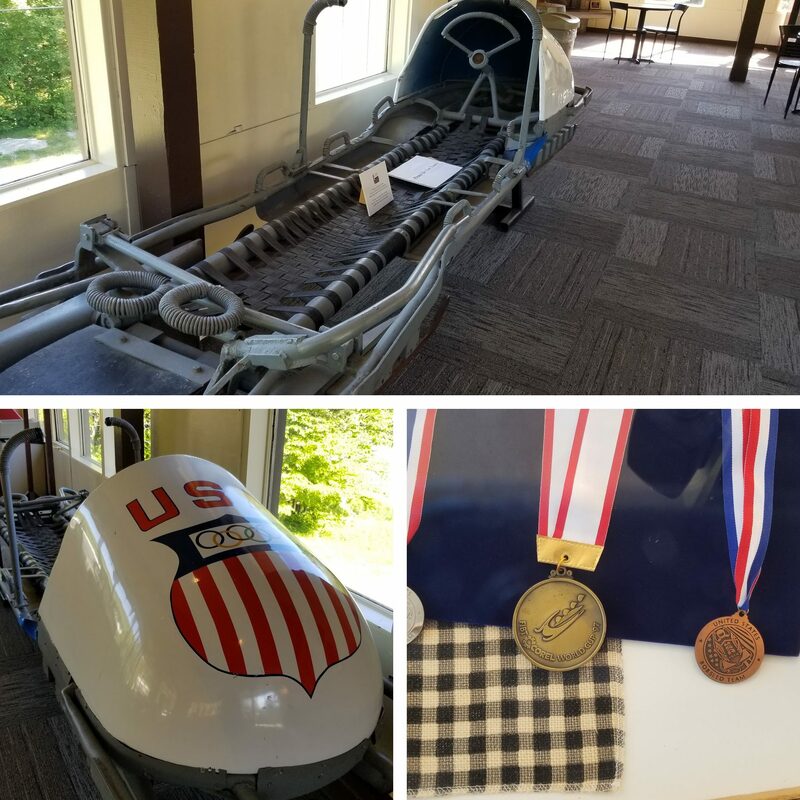 Throughout the year, albeit not the week I was there, you can take a bobsled down the bottom of the track (1/2 mile), or a skeleton/luge trial (1/4 mile), reaching speeds of 55MPH on a 40-second run. This is available most of the year, as they use dry sleds for it.